Everyone grew a week older but none admitted to a recent birthday. Mystery Person – Harold Rowe awarded today’s gift card to Cyrilla Galbreath for all the work she has been dong with the scholarship awards. Greeter – Jim Murphy was today’s greeter. He recounted a week of ups and downs, good and bad happenings: he reports the St. Louis Cardinals are 2 and 4 so far for the season (not so good), he got to play golf (good), he was eleven over par on the last two holes (not so good), he got a new set of tires for his car (good), he and his wife went to New Franklin on Saturday and stopped for dinner at Emmett’s in Fayette (good) but he backed his wife’s car into a basketball stand (really bad). Sign In and badge on or Pay the Pig—Carl paid the pig despite wearing his name tag. Other members are encouraged to contribute as the pig’s largess goes to the Children’s Cancer fund. Membership applications have been received and will be voted on by the Board of Directors at the April 20 Board Meeting. New member applicants include Donald Prevost, Nadia Ryakhmyatullov, Anthony Parisio and Leslie Parisio. Kids First announced Cedar Creek Trivia contest, silent auction and dinner, May 6th. – Rick Kitchen, Kids First Optimist gave the pitch for this event to be held at the American Legion Hall.. The cost is $30 each and Kids First requests the Downtown Club to send a team of 8. A buffet dinner including entrees of pulled pork, chicken breast and fish filet is included in the price of admission. Smarty Pants Trivia of Davis Entertainment will run the event to include a Hat Contest ala Kentucky Derby Day, a silent auction and a 50/50 raffle..
April 4th at 5:30 Tree Dedication at Optimist Park for Red Leighton and Jim Beckett. – Good member turnout. Jack Andrewson with Sunrise Optimist as well as the City of Columbia. Parks and Rec Arborist were also present. Carl Scott officiated, describing the contributions both have made and presenting Red and Jim with a commemorative plaque, suitable for hanging. He noted Max Miller has completed 50 years of membership and Larry Fick at 49 years and will be next up for tree dedication. These four members represent a combined service to the community of over 200 years. A reception of ice cream and cookies at the club house followed where forever (artificial) flowers were presented spouses. New Member recruitment event – C.O. Mike Hatchet, Jessica, Travis – Good turnout with 3 new members attending.. This first Thursday early evening event will continue with the new location to be announced. Soap Box Derby – Rick, Chuck reported the volunteer sign-up sheets will be circulated during our next weekly meeting. Many volunteers are needed to pull off this annual event. Scholarship – (Cyrilla, Carl, Max) Cyrilla announced she and Carl Scott finished reviewing all the Rock Bridge H.S. applications and all six scholarship recipients for the four Columbia high schools have been identified. Food Bank – Larry Fick, Jim Murphy and Carl Scott report there is still plenty of work to do. Bike Safety May 20th – Mary Dewey reported State Farm is donating coloring books, Columbia Public Schools have included this event on their website, big posters and classroom posters have been distribute to the schools. Mary will circulate a volunteer sheet at our next meeting. Art in the Park – Harold Rowe has everything under control for this June event. Volunteer sheets will be circulated next week. Saturday April 29th – 3rd Quarter EMO District Meeting in Creve Coeur, Mo. Hotel reservations at Drury Hotel are due by April 7th. District Oratorical Contest is the headliner. 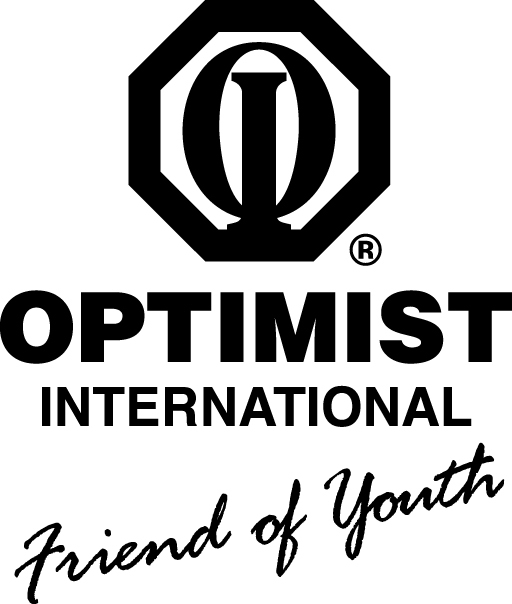 April 24th program will be Zone 2 Optimist Club members who will join us for conversation on our clubs and Optimism in Columbia. Members from the Midway, Hallsville, Kids First and Sunrise Optimist Clubs will join us for lunch. Roxie is the current park naturalist. A 25 year employee of the park, she related the history of the establishment of Rock Bridge Memorial State Park (RBMSP) dating back to the tragic death of Carol Stroerker, daughter of member, Dottie Stoerker-Peters and her last husband Lew Stoerker in 1961. The campaign to raise the local match of $180,000 to buy the land was coordinated with the Downtown Optimist. Our own Red Leighton was on the fundraising board. It became a state park in 1967 and is now supported by the 1/10 cent state sales tax and a lot of volunteers. RBMSP is unique in that it is situated adjacent to our city. It contains geological feature of Karsts, Sink Holes Losing Streams and Caves including the now closed Ice Box Cave and Connor Cave. The 2273 acre park also includes remnants of historic buildings include the 1822 Grist Mill once home to a whiskey distillery, tanning yard, general store and blacksmith’s shop and the Hickman Cabin recently reconstructed in 2014. Fifteen miles of hiking and biking trails as well as prairies and wooded areas offer opportunities for above ground activities including map and compass navigation and seasonal horseback riding. The caves are home to a variety of bats (tri-colored, little brown, Indiana and Gray Bats) as well as the creatures fed by their guano: millipedes and troglodytes including the rare pink planarian. The naturalist provides activities for school children in Columbia. Three to four thousand students explore the park guided by the naturalist in educational games, a junior naturalist program for 9 – 11 year olds and cave exploration of Connor’s Cave. May 8 – Dr. Carol Burns, Professor of Pathology and Anatomical Science at Mizzou.